...(raising more than any other country with nearly $40 million CAD), hairy lips everywhere once again are seeing the light of day, men’s faces have become recognizable (and less creepy), and Mo-spouses everywhere can rejoice in no longer kissing a human Brillo pads. Money raised will go to Prostate Cancer Canada, awareness and education programs, a global action plan, and The Canadian Male Health Network (CMHN). With more fundraising initiatives than there were days in November, Kitchener-Waterloo communicated loud and clear that we support Movember. But not everyone joined the chorus. Movember has had it's fair share of critics. Interestingly, one of the primary criticisms stems from what it’s doing right: creating an overwhelmingly successful fundraising campaign to benefit an important cause. Does Movember eclipse all other fundraising attempts in November? Some Non Profits struggle to speak the language of people they’re serving and soliciting support from, especially as they adopt new means of communicating through social media. Movember talks to guys like guys- on their level and on THEIR TERMS. Most guys -surprise, surprise- don’t want to talk about cancer… or their prostate… or their health, but they sure as hell love to brag about their manly moustaches! Depicting starving children doesn’t motivate everyone. Not everyone is compelled to get involved with causes that make them feel hopeless and defeated by the weight of serious issues. Movember's website, social media, events, and materials are a careful balance of information, empowerment, hope, and tangible progress. Movember is a month long campaign that successfully elicits compassion in some unlikely places. It doesn't shame, scare, or guilt to action- rather, it provides a symbol of pride, masculinity, and (best of all) a lot of humour. We have an important movement engaging a massive demographic, that doesn’t try to make people feel helpless... and we’re criticizing it? Rather than habituate idol criticism, let's ‘act rightly’ and implement meaningful change where it’s needed. Take note. Take action. Get involved. 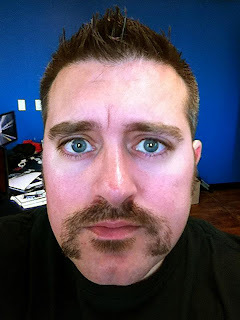 This was my third year participating in Movember, and I donated to 7 events (I’m all about spreading the wealth!). Two were awareness/fundraisng events I hosted, four were events that I attended in person/donated to/volunteered at, and one was an event I "attended" online and contributed funds to. Being on the KW Movember Committee for the last three years, I wanted to get more people involved in the sign ups (that start at the beginning of Movember), so Those2Girls/Stuff To Do With Your Kids In Kitchener Waterloo and The Kitchener Market presented Movember Kids KW. It was a fun-filled morning complete with Moustache Themed cooking, crafts, entertainment and special guest AJ Bridel was our Miss Movember for the day. We had over 100 families! And you could see smiles for miles (or that may have been the colourful face-painted moustaches!). The second event was a fundraiser I hosted at my workplace, The Sign Depot. 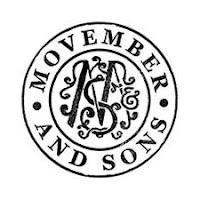 Our logo has a moustache- how could we not be part of Movember?! Over $120 was raised in just two hours during the #SignDepMO networking event and lots of connections were made over discussions about Movember! 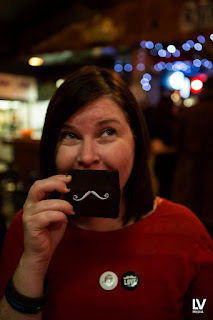 It was a bit hectic to support another four events, but I know how much time goes into organizing a public event and wanted to do my best to support others in the community who’d planned Movember events. One of the really cool events this year was the cyber-fundraiser. Because Movember has already has an extensive social media campaign, being able to participate in an online day dedicated to donating made for a fun experience! Beyond cash donations it’s probably obvious I give a big donation of my time as well. I think volunteering can be just as valuable as fundraising as long as you are truly giving your time and not just showing up to be part of the crowd. This is the overview of my Movember Moments! As part of my job, I am constantly doing research and due diligence of one type or another, and participating in courses such as KW Community Foundations Engage program has taught me to think carefully about commitment and organizations, so I am always very wary of getting involved with new boards and committees. For a number of personal reasons, I wanted to get involved with a cancer charity (namely men’s health - which there are literally hundreds of) so I had to do my homework. And that I did. After a lot of reading and research I chose Movember, and their work with Prostate Cancer Canada (and more recently mental health). I can personally say that this group of people are among the most humble and frugal charitable organizations I have ever met. When I'm asked "where does the money go?” (as is expected with a campaign that does so well), and hear “They must all have huge salaries and a nice office like all the other 'charities'..." I always laugh a little. I think of us all crammed in their modest offices, with just a few staff, when we chat about Movember each year. Truthfully, you would be hard pressed to find a more transparant organization that publishes their overheads and costs so openly. They offer a great breakdown of initiatives, and research and global action plans that are making significant headway in the field of cancer research and men’s health awareness. Being involved with Movember as a volunteer, I have found it very rewarding: working with cancer survivors, and going into schools, chatting to guys whose lives have been changed by feeling that they are no longer alone, and can openly share mental or physical problems that they have. Yes, Movember is a very fun campaign- lots of events and fundraising requests- and it’s easy to knock or be skeptical of it, but from firsthand experience, I have never regretted being part of a team of such down to earth people, genuinely driven by changing the face of men’s health internationally. 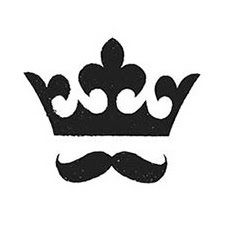 Criticizing things I’m unprepared to research OR change isn’t my style, so this year I became a MoSista to understand what Movember is really all about. I contacted Movember Canada directly with questions. I joined our local Movember committee- attending meetings, communicating through email, contributing to our social media campaign, and attending events. I helped gather a team (that raised $1391), made a Movember video, discussed issues with teammates, hosted an online fundraiser! I hassled my husband until he made an appointment for a checkup with our family doctor. I spoke with Grand River Regional Cancer Centre, and spent some time learning more about their resources. This isn’t a list of personal accomplishments, or a request for a gold star. I threw myself into Movember as much as I could because I’ve lost family members to cancer, and because I want my son to grow up without a doubt that his well-being is so important that silence is not an option, and that communicating on his terms is. More than anything, I've learned that this month campaign has a lot to teach us about how to get involved- lessons I can use to create positive change in other areas as well. Thanks to the informed, supportive, and passionate Movember crew!